Our production of It's a Wonderful Life opened last Friday, and the show has gone really well so far (despite the double indignity of whacking my skull on the control room door on my way to the stage on Sunday, followed immediately by my involuntary power slide from the second step onto the floor, knees first (of course). The Wurlitzer is like a whole character unto itself, and doing my best Hugh-Beaumont-meets-Walter-Cronkite-meets-Orson-Welles while wearing a tie and sweater vest is really putting me back in the period. My one complaint is that my jaw, which has not been naked in a good four years, is really cold right now. And the stubble is really annoying between shaves. Fortunately this weekend is the last three shows, and Friday morning should be the last razor-shave for some time. 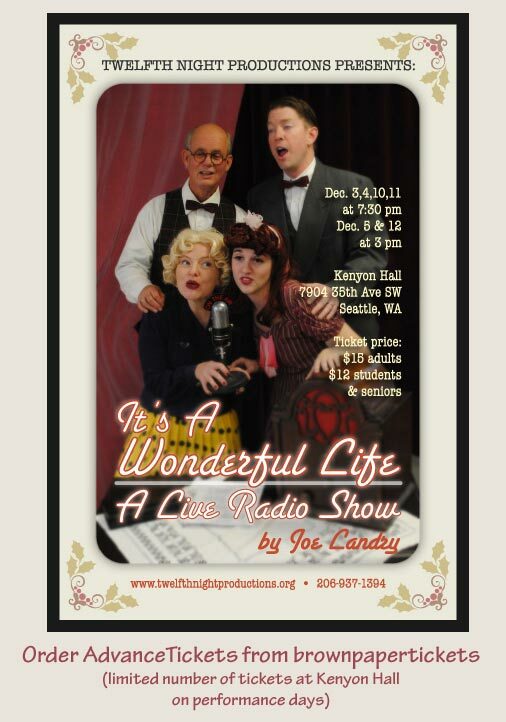 For my Puget Sound peeps: come see It's a Wonderful Life: A Live Radio Play at Kenyon Hall in West Seattle. 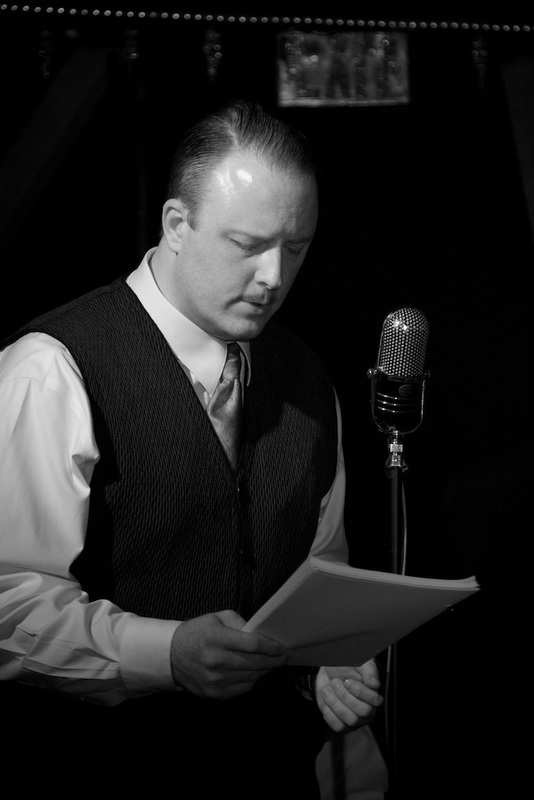 It's a great story performed by local actors (portraying 1940s radio actors) in a real historic vaudeville hall, complete with a Mighty Wurlitzer. I will be playing Joseph, the Superintendent of Angels, on stage with some old Twelfth Night compadres. We run Friday, Saturday and Sunday (matinee) for the next two weeks. Make some time for this one - you'll thank me later.